»A Number of Things«, 2008 by Micah Lexier. 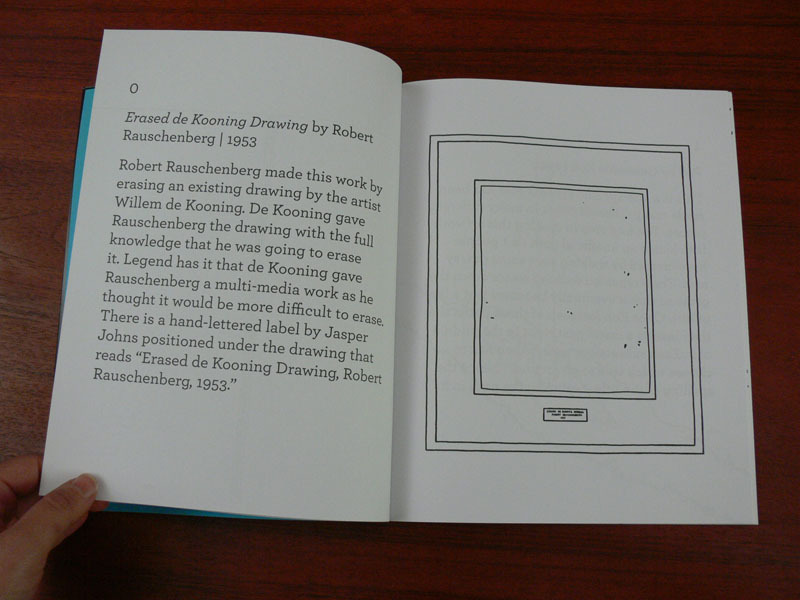 A colouring book that presents some of the artist’s favourite conceptual artworks as well as some related objects having to do with counting and measurement. Designed to be accessible, it will be made available to Vancouver area public school children through presentations by the artist, introducing young audiences to idea-based contemporary visual art.